Welcome to the Nervous Water Fly Fishers Hawaii fly page. 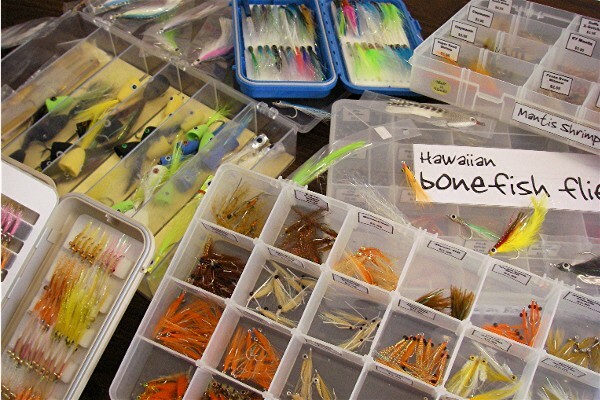 This page was created to answer the burning question �what fly?� This page contains links to the tying steps and recipes to some of the most popular flies used here in Hawaii. If you have any questions feel free to contact us or better yet, just come on down to the shop. Knock yourselves out... and check out clay's new blog and instagram page for more tying goodness!